It's been another busy and costly fire season throughout California, and the end doesn't seem near in the northern part of the state, with big wildfires igniting this week in Santa Clara (Loma Fire) and Sonoma (Sawmill Fire) counties and the costliest wildfire in state history still burning in Monterey County (Soberanes Fire). 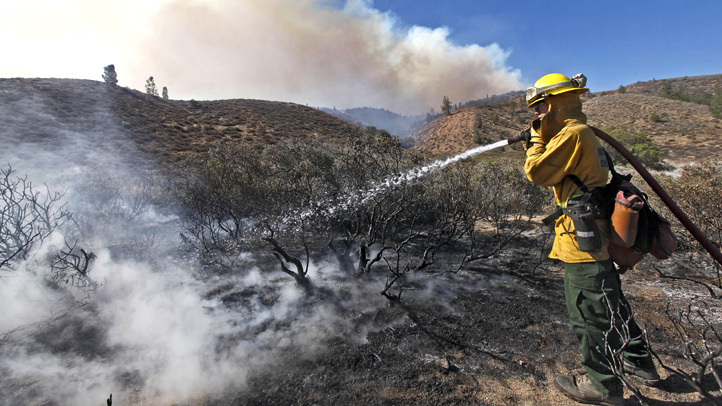 Cal Fire is currently battling 20 wildfires across California – only 8 of them are contained. So far this year, there have been 5,794 wildfires across California, that have burned 555,866 acres (includes Cal Fire and US Forest Service). California has seen about 500 fewer fires so far this year compared to the same time period last year. Cal Fire spends more than $200 million each year fighting wildfires. The causes of most fires in the state actually go undetermined – about 20 percent each year. Historically, California wildfires burn about 100,000 acres each year; the last spike we saw was back in 2008 - the number of acres burned across the state was more than 380,000. Over the last decade, California has seen anywhere between 2,400 and 4,900 wildfires per year. California averages close to 3,000 wildfires each year. In recent history, Northern California has generally seen about double the amount of wildfires each year as Southern California. Looking at historical data, the 3 p.m. hour is when California sees most of its wildfires. See a map of the active wildfires burning across the state.